Protopunk icon, musical trailblazer, and former frontman of The Modern Lovers, Jonathan Richman would be a household name if there was any musical justice. Now four decades in and showing no signs of slowing down, the eclectic singer-songwriter has, over the years, shifted towards a more laid-back, acoustic sound, which seems to evolve with each release in his prolific, constant output. Backed by drummer Tommy Larkins, Richman is set to play Nashville for the first time in a few years this Sunday, April 10, at our favorite new east side space The Basement East. Tickets are still available right here, so secure your spot and read on for more about the show! Considered by some to be the grandfather of punk, singer-songwriter Jonathan Richman began making music in the 1960s, relocating from his native Massachusetts to New York City at age 18 in 1969, prompted by an infatuation with the Velvet Underground, a group who would shape his musical sensibilities. Failing to break into the scene as a solo artist, Jonathan relocated to Boston, where he formed The Modern Lovers, a protopunk group whose influence on the scene is immeasurable and criminally under-appreciated. Though the band’s existence was short-lived, tracks like “Roadrunner” and “Pablo Picasso” have gone on to become modern classics, prompting covers from the likes of Iggy Pop, Joan Jett, David Bowie, and countless others, and influencing artists like the Violent Femmes, Frank Black, and Weezer. 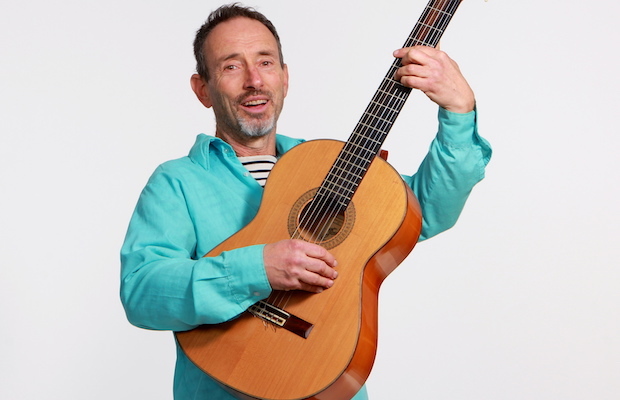 Jonathan Richman and Tommy Larkins will perform Sunday, April 10 at The Basement East. The show is 21+, begins at 9 p.m. (doors at 8:30 p.m.), and tickets are available for $15. Catch Space Capone, Escondido, Mike Floss & More | May 27-29 @ Mayday Fest 2016! [Preview] Catch Spirits and the Melchizedek Children @ fooBAR TONIGHT!